About 2 minutes walk from JR Kaihin-Makuhari Station. 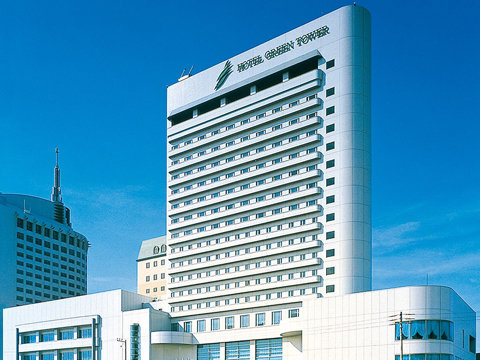 From Kaihin-Makuhari Station, Hotel Green Tower Makuhari is the nearest hotel in Makuhari New City area. Get off at Kaihin-Makuhari Station on Keiyo Line, 2 minutes walk from the South Exit. From Haneda Airport/Narita Airport, about 30 to 45 minutes by limousine bus. Get off in front of the Hotel.